WhatsApp is limiting the number of times you can forward a message onto other people. Messages could previously be sent to 20 people or groups, but forwarding is now being limited to five. This is an effort to fight fake news and the spread of misinformation. WhatsApp is regularly used to spread rumors. In some communities this has led to violence, with people being targeted as others believed what was being said about them. WhatsApp obviously isn’t happy about this, and is doing its best to combat the problem. Until now, WhatsApp has allowed you to forward a message onto up to 20 individuals or groups. According to Reuters, from now on, you’ll be limited to forwarding a message onto five individuals or groups. Which WhatsApp hopes will have a positive impact. This limit of five recipients was put into place in India in July 2018 after a series of lynchings. Now, it’s rolling out to WhatsApp users around the world. WhatsApp will be updating the app over the coming days, starting with Android and followed by iOS. The worldwide rollout of this limit on forwarding messages was announced at an event in Jakarta, Indonesia. 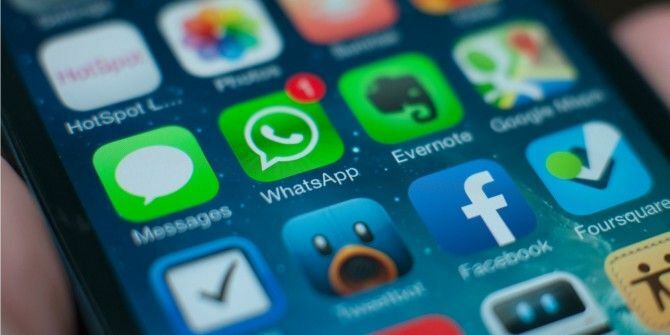 Victoria Grand, the vice president for policy and communications at WhatsApp, said, “We’re imposing a limit of five messages all over the world as of today”. Fighting fake news by not sharing stories on social media is something we should all be doing. But while a made-up story about a celebrity shared on Twitter is one thing, a message accusing someone in the real world of doing something bad is quite another. This won’t solve the problem entirely, but it should limit the speed and spread of rumors amongst communities. And if you do see a message accusing someone of doing something bad, be sure to seek out the truth The 5 Best Unbiased Fact-Checking Sites for Finding the Truth The 5 Best Unbiased Fact-Checking Sites for Finding the Truth This is the age of misinformation and fake news. Here are the best unbiased fact-checking sites so that you can find the truth. Read More rather than believing everything you read. Explore more about: Fake News, WhatsApp.